A close-up of a comb footed spider (Enoplognatha ovata) suspended from a grass seedhead in a limestone grassland habitat. 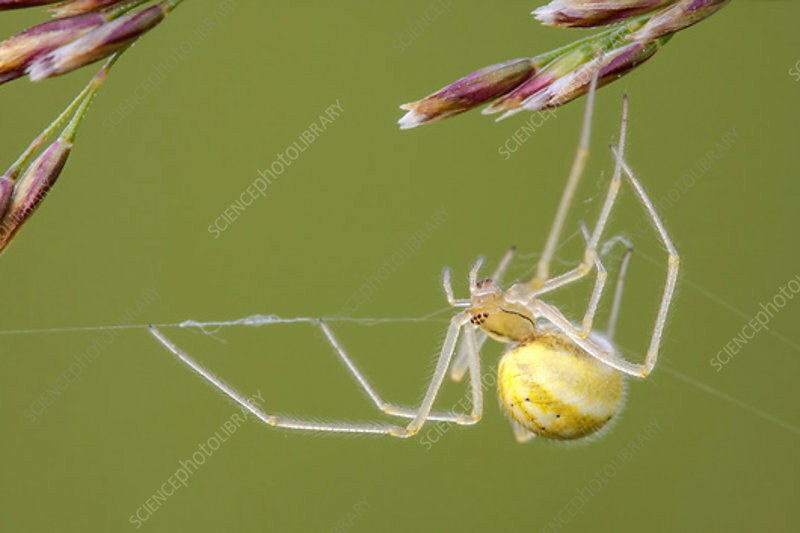 This spider is a member of the Theriidae family and is found across a range of habitats in the UK and Europe. Photographed in Somerset, UK, in July.